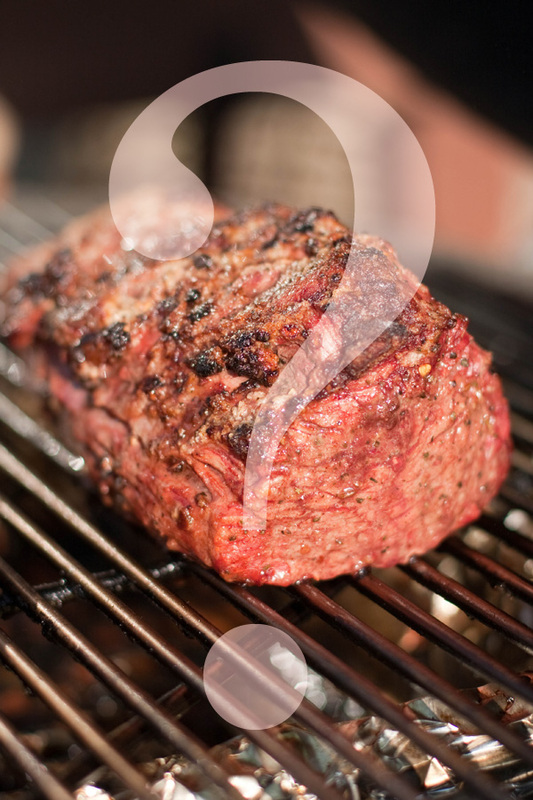 Would meat on the grill taste so good if it “grew” in a lab dish? Would it be safer or cheaper? Answers are emerging — but slowly. As grilling season swings into high gear, slabs of beef, pork and poultry are blistering on hot steel. World demand for meat is rising, especially in Asia, and already a vast part of our agricultural landscape is devoted to raising meat animals. So why don’t we smell the aroma of artificial meat? Vegetarians and others who shun meat but can’t quell their quest for carnivory can already buy mock meat, usually based on soy protein. But despite the touted benefits in cost and environmental impact, problems with flavor and especially texture continue to meet meat made without meat animals. But food science and technology are advancing, and a new technology for converting soy protein into a more convincing mock chicken is entering the marketplace. Further afield, a few researchers in the United States and Europe are trying to “grow” muscle cells from meat animals in the lab into something they deem “real” meat. Cynics may think it’s actually real fake meat, but change is the only constant in life. Sure, our ancestors — hominid, primate and mammal — feasted on the flesh of dead animals. But could there be another way to make meat to meet the growing demands from rising population and prosperity? Annual beef and veal output are expected to grow from 65.5 million tons in 2010 beyond 74 million tons in 2020. The annual growth rate in the developing world (1.80 percent) is almost twice that in the developed world (1.05 percent). since 1967, poultry meat production is up 700 percent; eggs are up 350 percent, pig meat is up 290 percent; and beef and buffalo meat are up 180 percent. A process invented by University of Missouri-Columbia professor of bioengineering Fu-Hung Hsieh uses a new process to convert soy protein and other vegetable products into a meat replacement. As the mash cools, vegetable fibers form, simulating the mouth-feel of chicken. For many years, vegetarians have bought artificial meat, mainly made from soy protein. But one mainstay of these products, textured vegetable protein, has elicited groans — because its texture did not evoke muscle from a meat animal. That could be about to change, due to an innovation in the process used to “extrude,” or press, soy protein into artificial meat, says Liu. Instead of the dry mash that makes textured soy protein, food technologists are testing a wetter mix, and then water-cooling it after extrusion. 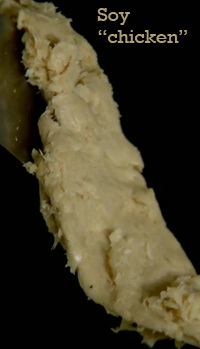 During the cooling, fibers can form in the high-moisture mash, creating a product that looks and feels much like muscle meat. To make new food, extrude! 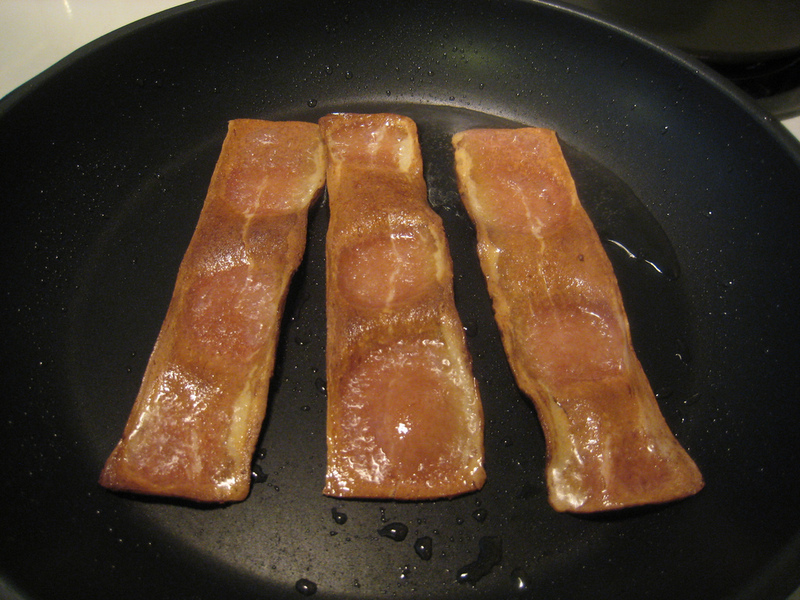 “Fakon,” slang for fake bacon, is an attempt to produce a popular pork product from plant parts. Beyond Meat has started marketing the extruded mock-chicken, based on a process perfected at the University of Missouri, and made from mainly soy and pea powder, carrot fiber and gluten-free flour. ABC News reported that the chicken substitute may start selling at about the same price as chicken at Whole Foods in Northern California. 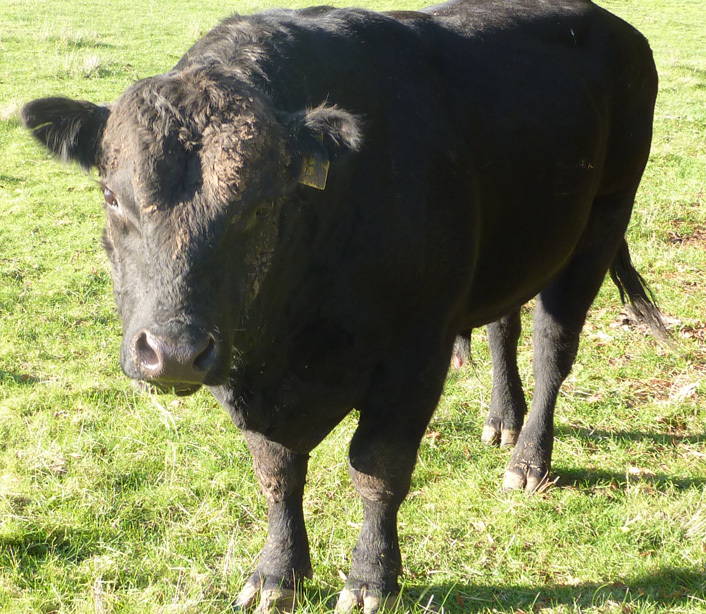 A Black Angus bull on the farm shows the time-tested approach to growing meat. Already, a group lead by Mark Post, a vascular biologist at the University of Maastricht in the Netherlands, is aiming to use the in vitro process to produce the first lab-grown hamburger later this year. 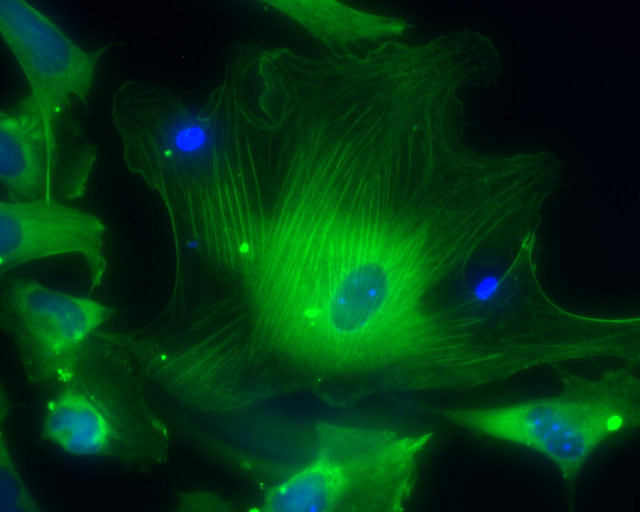 Some researchers are focusing on adult stem cells, which normally repair muscle fibers after exercise or injury. Because adult stem cells cannot proliferate forever, they must be replaced periodically with new stem cells removed from the muscle of a live animal. With funding from People for the Ethical Treatment of Animals (PETA), Genovese is working on a related approach that starts with induced pluripotent stem cells. These ponderously named cells, like embryonic stem cells, “have the advantage of unlimited self-renewal capability,” Genovese says. Because the induced stem cells could grow indefinitely in the lab, they could obviate the need for a constant supply of adult stem cells. Even if the cells differentiate correctly into muscle cells, hurdles will remain: Lacking blood vessels to supply nutrients and remove waste, the cells will only grow in thin layers that must then be spliced into meat. And muscle cells require regular stretching — cell-size Stairmasters? – for correct growth. The new meat replacements do not involve bone, cartilage, skin or manure. The research on in vitro meat parallels that on tissue engineering, the effort to craft replacement tissues and organs. In both cases, the cells must live in a growth medium – a broth of nutrients and chemicals that feeds and stimulates their development. The current medium, derived from animals, can transmit viruses, so the holy Grail for tissue engineering and in vitro meat is a material that has never been inside an animal, perhaps made from algae or plant material, with growth factors isolated from bacteria. A growth medium for artificial meat must also be cheap, but can cells ever be grown cheaply in the lab or factory? Not according to the biologist who recently wrote in Discover Magazine that cell culture is “hideously expensive and technically difficult”. However, Genovese says the elimination of waste gives in vitro meat some inherent cost advantages over conventional meat. “You are only producing the meat that people eat,” not skin or other organs that must be removed at the slaughterhouse, butcher shop or kitchen table. Nutrients go directly to the meat, so theoretically, none enter a waste stream. In other words, in vitro meat does not involve bone, cartilage, skin or manure. How green is artificial meat? 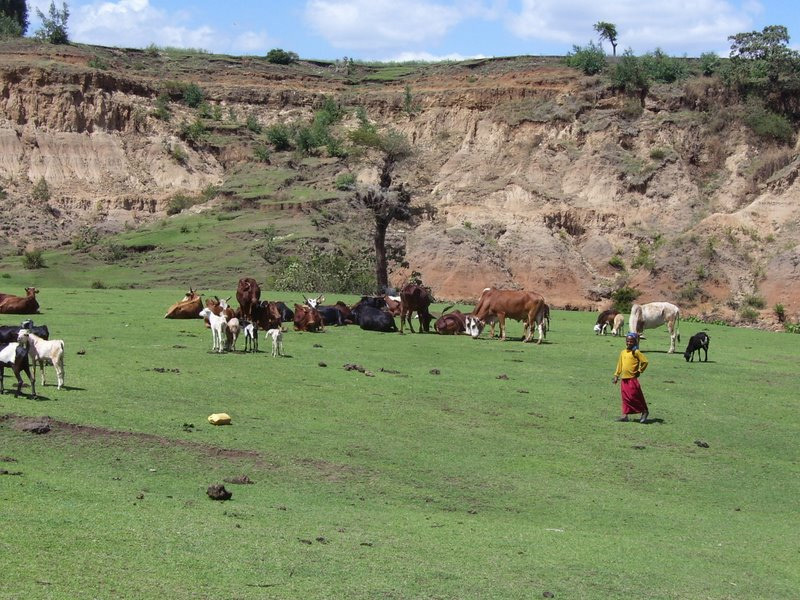 Overgrazed land can be heavily eroded and stripped of plant and animal biodiversity. Livestock are responsible for 18 percent of total greenhouse gas production, even higher than transportation, according to the FAO. Cattle need about 7 kilos of feed to produce 1 kilo of weight gain. Livestock produce a stream of manure that can cause pollution. Overgrazing can remove any edible plant material, preventing the growth of protective trees or shrubs and impairing water infiltration. But grazing is also the central economic activity in many places, so producing meat in factories could threaten grazing economies. And despite claims by mock-meat advocates, this land will not necessarily be returned to nature if grazing ceases. Meat replacements are not the only way to reduce the greenhouse gases or environmental degradation blamed on livestock. Livestock eat organic wastes, including millions of tons of brewer’s grains left over by biofuel distillers. Manure can be converted to biogas, compost and fertilizer. By creating an economic activity on land that is unsuitable for farming, grazing confers economic benefits to people who could not farm. The 1.3 billion people who are involved in producing meat support countless families. What becomes of them if meat moves into the factory? The quest for meat replacements continues, but will this stuff ever rival the original ingredient? will anybody eat this stuff? Advocates of meat replacements anticipate that the new products will be healthier than the natural version, as they will not contain animal fats, antibiotic residues or dangerous bacteria. These benefits are one reason that some consumers buy artificial meat made from soy products, even if they aren’t always thrilled with the flavor and texture. As Beyond Meat moves its non-chicken into the marketplace, we should learn more about acceptance for newer processes for making meat substitutes directly from plant material. In vitro meat is another story entirely: There are few signs that consumers are clamoring to eat cells grown in the laboratory. But during the decade or so that cell-culture meat will need to reach the market, demand for meat will continue growing among prosperous people in China and in India, where Hindus will not eat cows. We phoned the National Cattlemen’s Beef Association to ask what thought of the trend to artificial meat, but they did not call back. In the United States, says Genovese, some evidence suggests that the substitutes may gain acceptance. “My sponsor is PETA, and even though they sponsor this research from an ethical standpoint, when you look at polls … vegetarians and vegans are less interested in eating the product” than carnivores. To which we can only respond: Show us the (artificial) beef! Hungry? History has lessons for improving farm productivity.